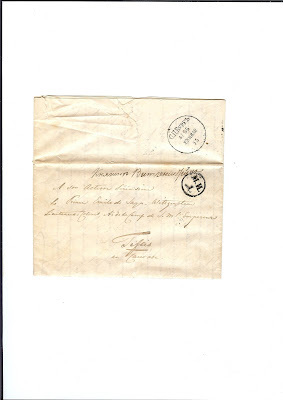 Trevor Pateman's Philately Blog: St Petersburg to Tiflis. What is this Mark? St Petersburg to Tiflis. What is this Mark? I recently got a group of items all addressed to Prince Emile Sayn-Wittgenstein in Tiflis. All have the same St Petersburg cancellation and all have the same small mark, M.I.D. in circle. 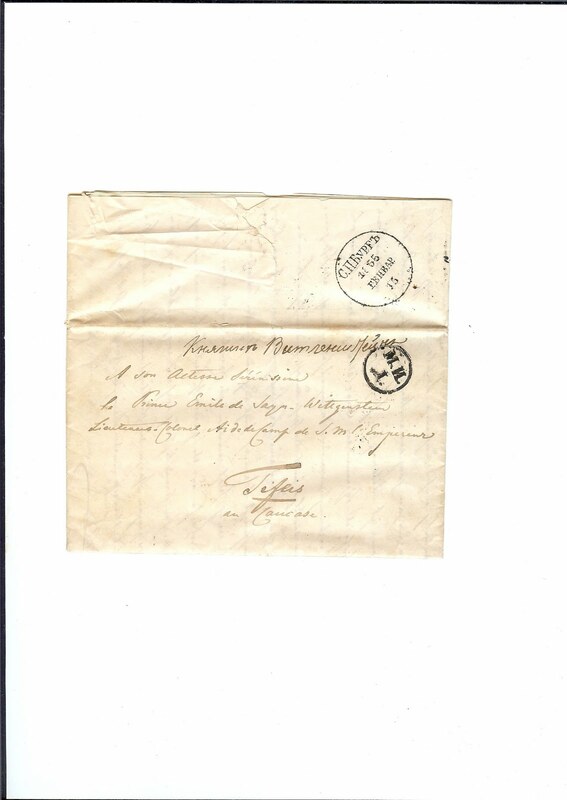 Four items are envelopes without contents; the fifth item illustrated above is an entire letter writen in Naples but with no despatch or transit marks. It could have been privately carried to St Petersburg. Two of the items have Cyrillic annotations, via Vladikavkaz. What I want to know is this: Was this M I D mark applied in St Petersburg or Tiflis? What is its function? What do the letters M I D stand for? My guess is that it is some ways connected with the handling of diplomatic or military mail - Sayn-Wittgenstein was Aide de Camp to the Tsar and to Prince Voronzoff in Tiflis. Ministry of Foreign Affairs? (MID in Russian) Might the mail have travelled via diplomatic bag? Was there a Kopaihorod Local Trident?